Decorated Easter eggs can be a fab dinner table centerpiece and can also be displayed elsewhere in your house for the holidays. 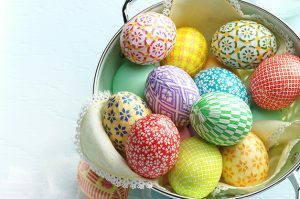 You can put them in decorative Easter baskets to give your home décor a facelift. It would be fun to involve the whole family in the activity. Preschoolers, toddlers, teens can design eggs at home or in school. 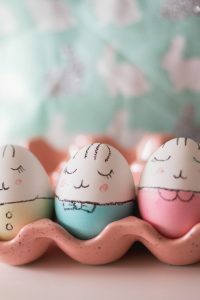 Tweens would love to design for their boyfriends or husbands. 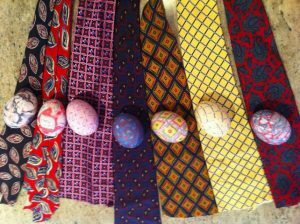 All in all, it would be a wonderful experience as you anticipate the warmer months. 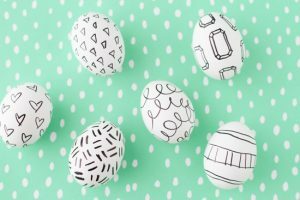 These charming Easter eggs designs are made by wrapping them with colorful washi paper. 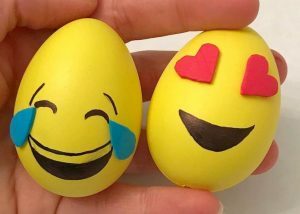 It involves no dying. 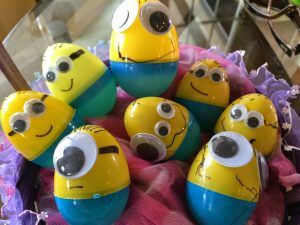 The tutorial includes instructions for emptying the eggs out. 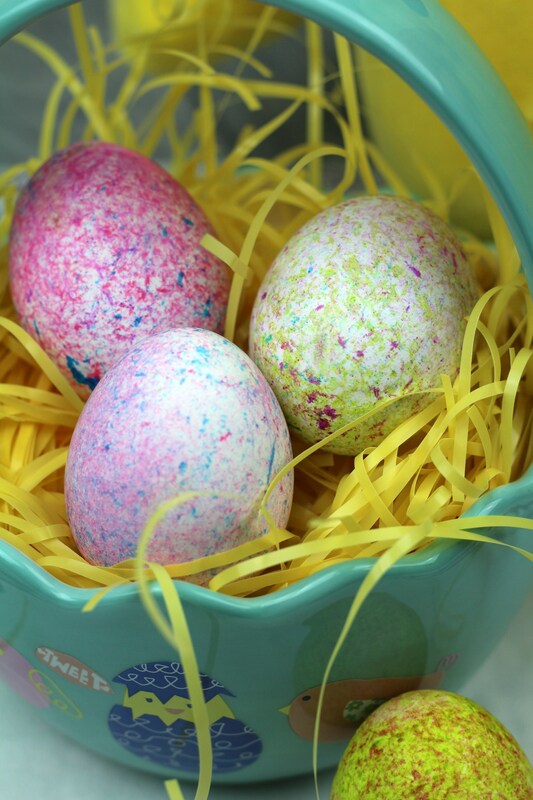 These yummy hand-decorated Easter eggs are coated with chocolate. You need to melt white or dark chocolate in a bowl, let cool and put the runny liquid in a piping bag. 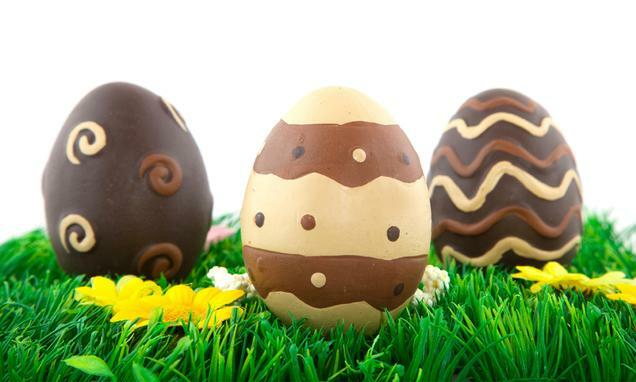 Then just put the chocolate in zig-zag lines over the hard-boiled eggs. 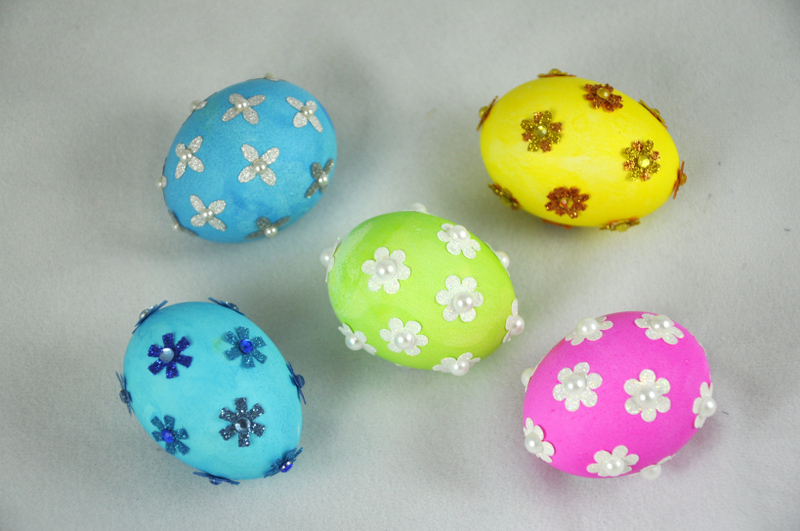 Permanent markers of various colors are the main supplies of these decorative Easter eggs. 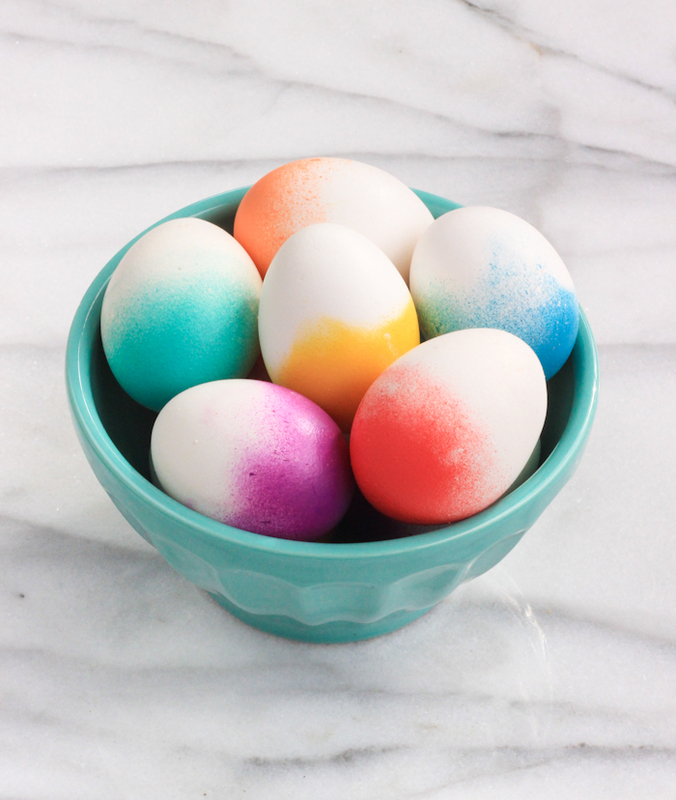 The eggs for the project should be white with their white portion and yolk blown out. You can make different patterns like football, cars, zentangle on the eggs. 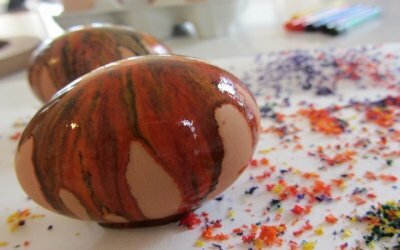 A cracked egg design would be unique. 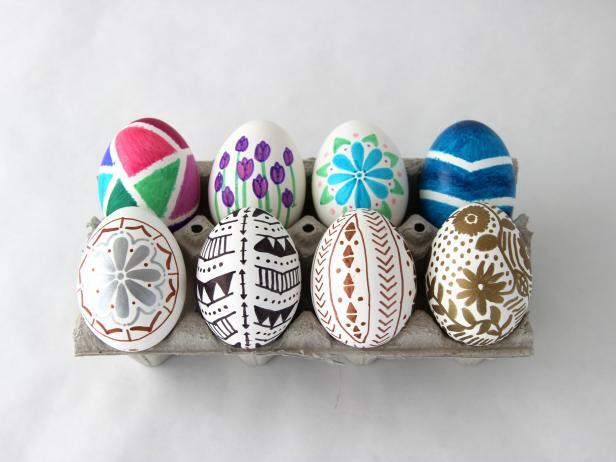 Note that symmetrical designs often make the eggs look good. 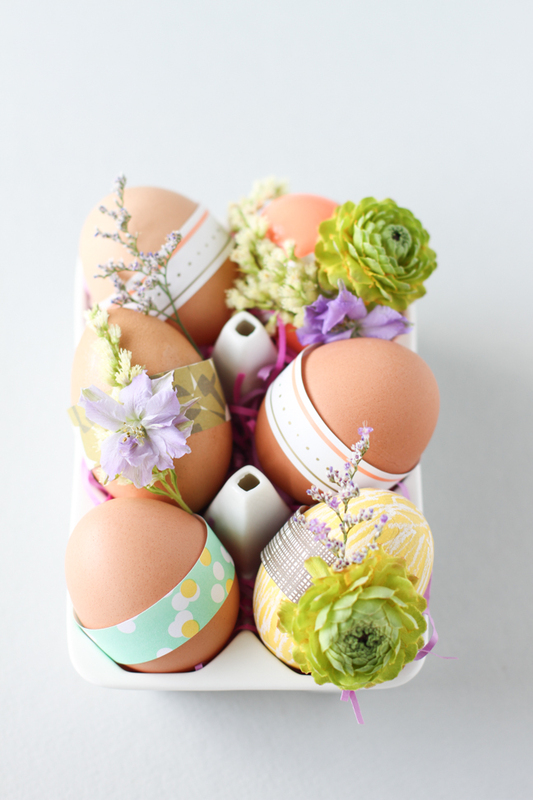 This DIY requires hard boiled brown eggs, decorative paper and fresh flowers. 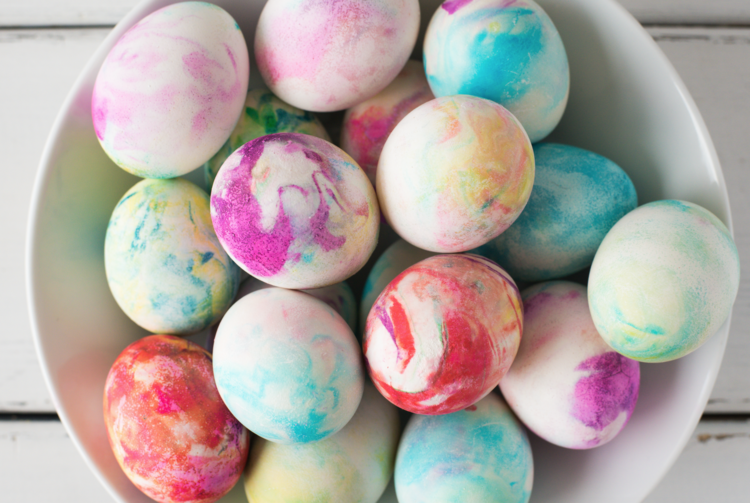 It doesn’t require you to dye. It is pretty simple and you can include children in the process if you want. 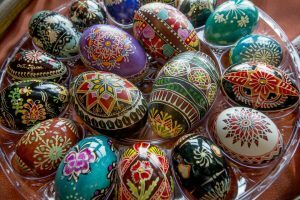 This Czech-style hand-painted eggs are made with beeswax and permanent dyes. 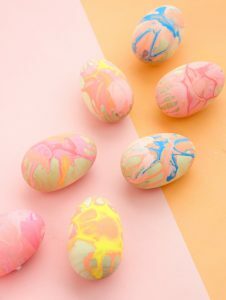 You can make multi-colored and patterned eggs using the video tutorial and written instructions of the above-linked article. These polka dotted eggs would be fun to make for Easter. 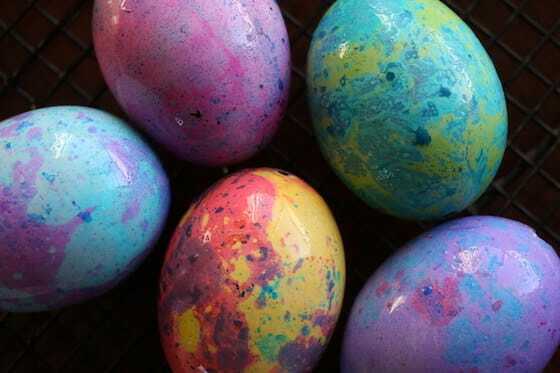 For the colors, you can mix pastel, metallic and neon acrylic paints. 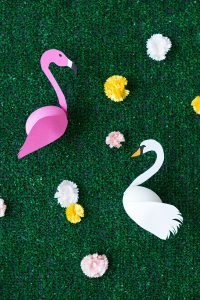 These beautiful flamingo and swan eggs are made by cutting out the neck and wings from cardstock and gluing them on to the painted Easter eggs. 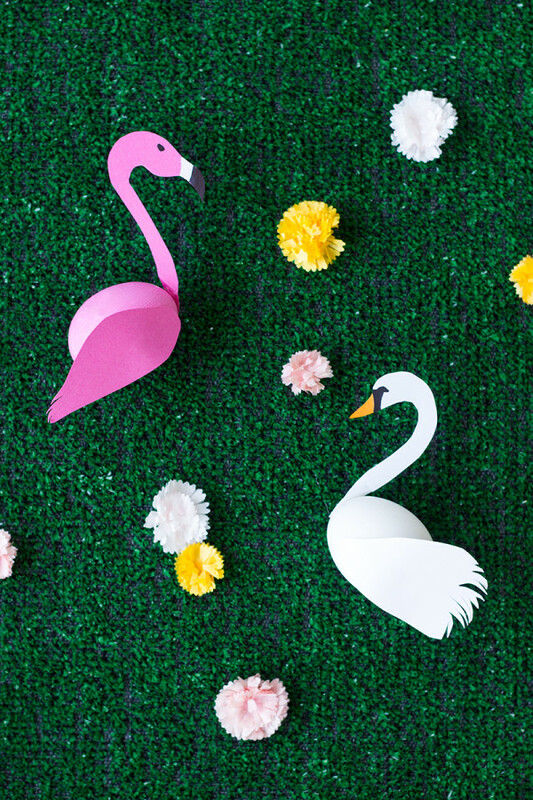 Note that only the flamingo egg is painted pink. 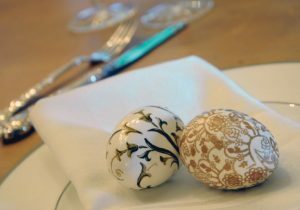 The swan egg is left white. 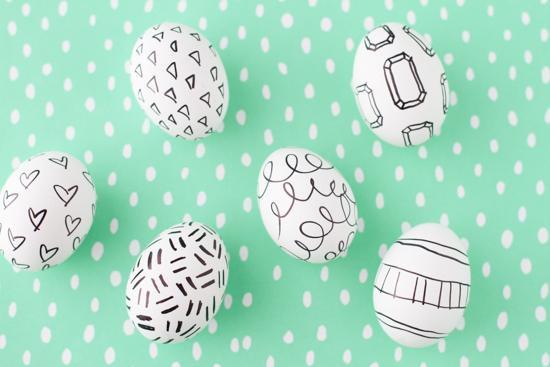 Just a sharpie and hard-boiled Easter eggs are all you need to do these quirky designs. 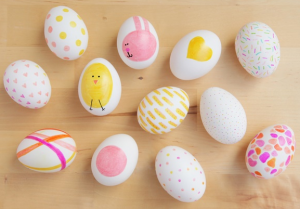 Let the little ones use their imagination as they decorate the eggs. They would be glad to get a canvas for doodling. 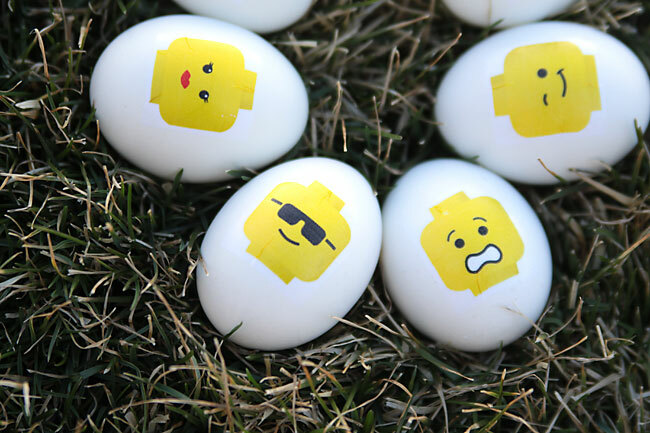 These colorful Lego designs are pretty cool, aren’t they? They are made with temporary tattoo paper that can stick to hard boiled eggs as well as your skin! 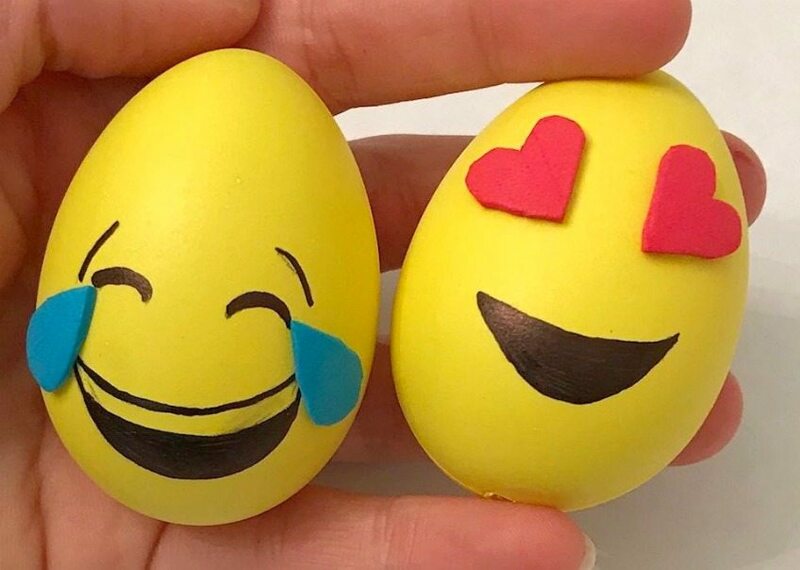 These eggs are created in 3 techniques. 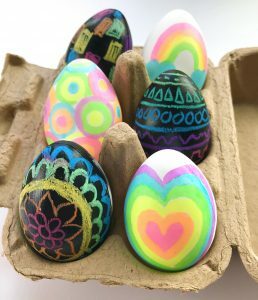 One uses chalk crayons for making the patterns, another uses highlighters and the third, stickers! 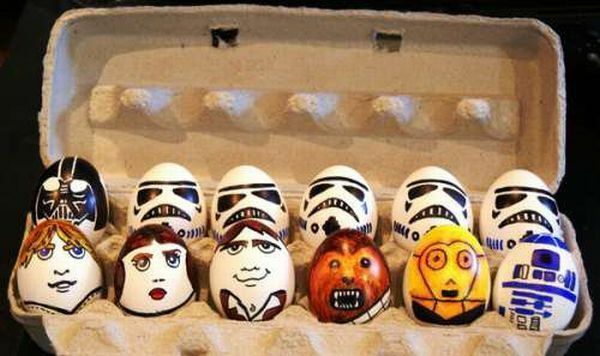 You can also hand-paint the faces of Star Wars characters on the eggs. 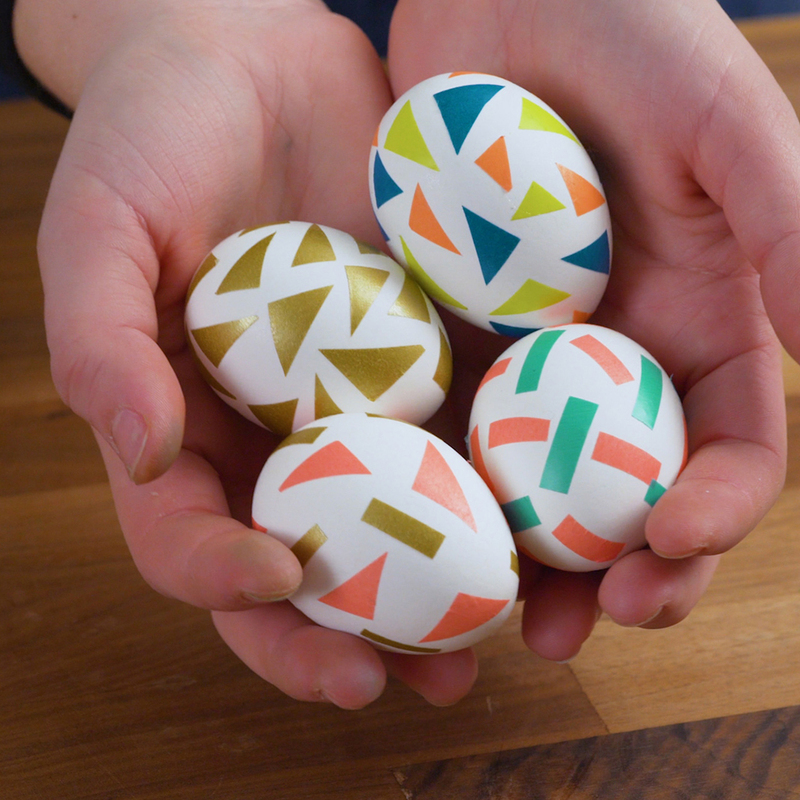 You can paint eggs in bright colors and attach craft stickers to them. Dotting them with flower stickers would be a cool idea. These cute Easter bunny eggs are made by combining water, food coloring and vinegar in a bowl, dipping the lower half of the eggs in the dye, allowing to dry and drawing the bunny face with black crayon. You can make ombre Easter eggs by placing eggs in cartons with their bottoms facing up and giving them a quick spray paint in colors of your choice. This vibrant Easter egg is made with a handful of nonpareil sprinkles that are attached to the egg with glue. You can use sprinkles of any color on the eggs. 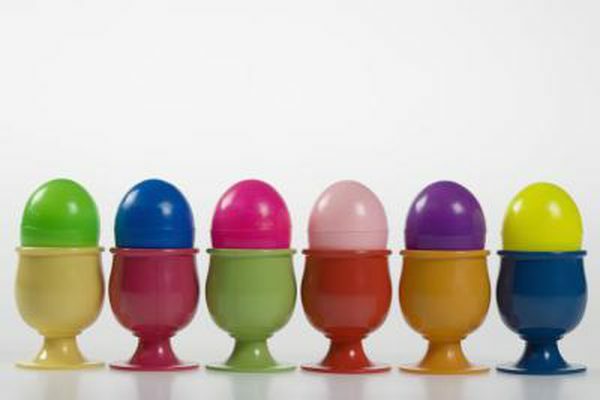 These eggs are dyed in a mixture of food coloring, hot water and vinegar. 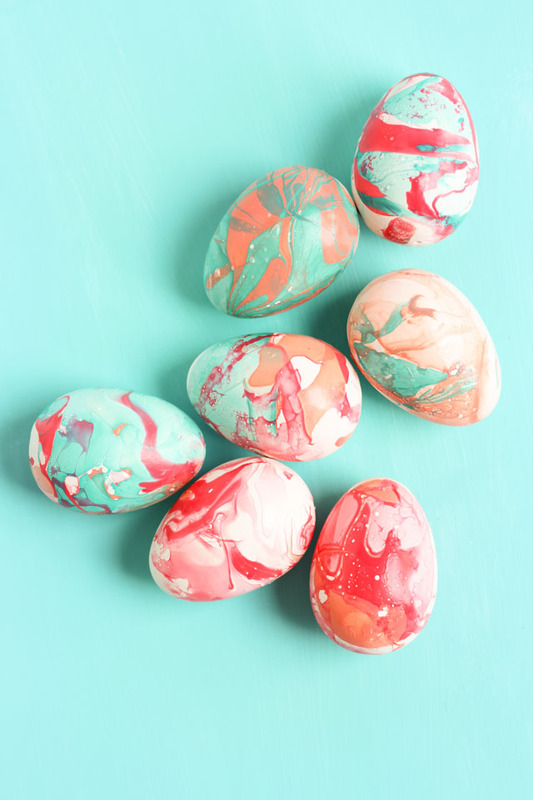 For more intense colors, you can use tiny quantities of food coloring pastes and gels. 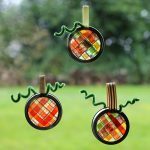 You can also create patterns with rubber bands, tapes and stickers. These beautiful Easter eggs are made with gentle brushstrokes of acrylic craft paint. 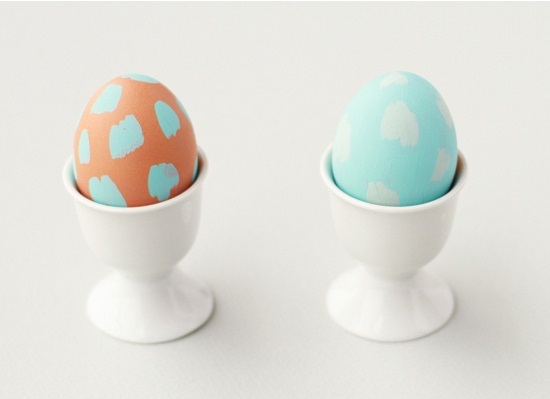 You can choose a color scheme and mix paints to get an unconventional color. You can also hand paint plain white eggs for making Superhero designs. 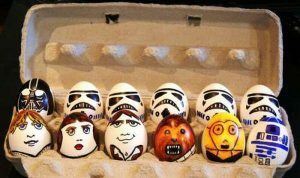 Other cartoon characters like Spongebob, Avengers, Harry Potter, Pokemon, Humpty Dumpty, Ninja Turtle can also be painted on the eggs. For this project, you need to grate crayons onto paper, hard boil your eggs and put the crayon shavings onto the eggs while they are still warm. 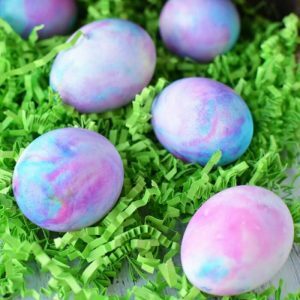 They would melt in swirls over the eggs. 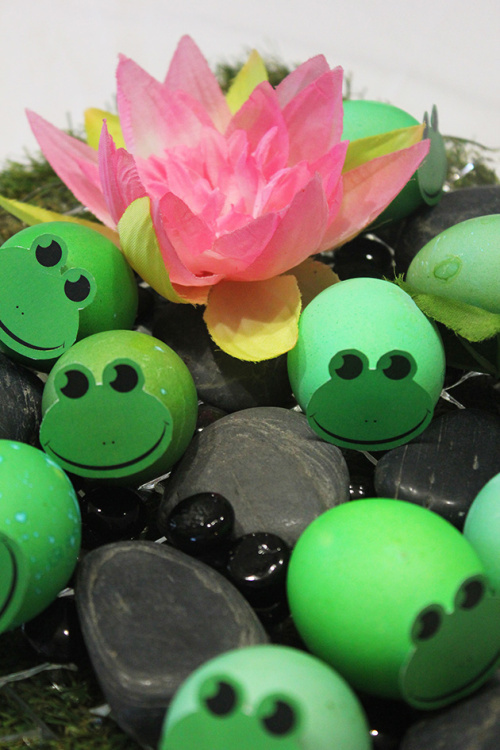 These charming Easter eggs have been created with green dye and a fine black marker. 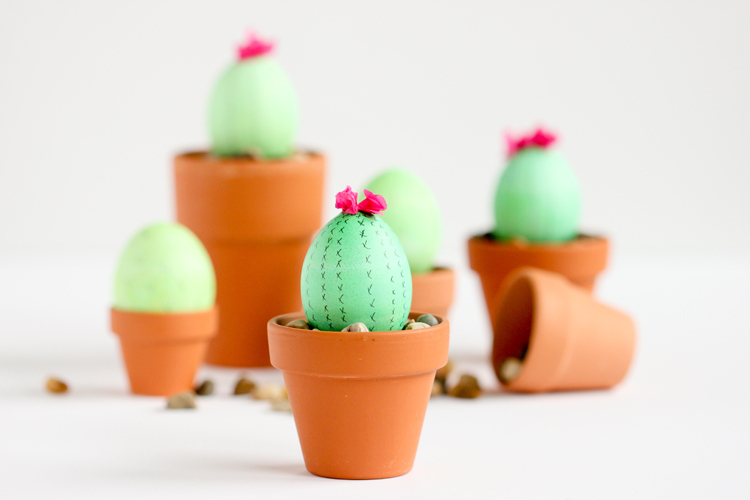 You can use red tissue paper for the decorations at the top. 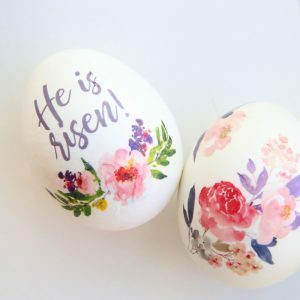 You can make the Easter bunny character by using paper mache eggs, pink acrylic paint and a black sharpie. 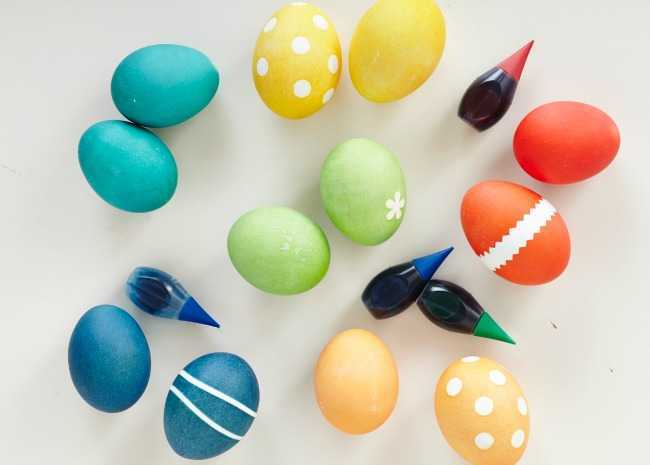 The bunny ears are cut out of felt while the nose is made of a mini pom pom. 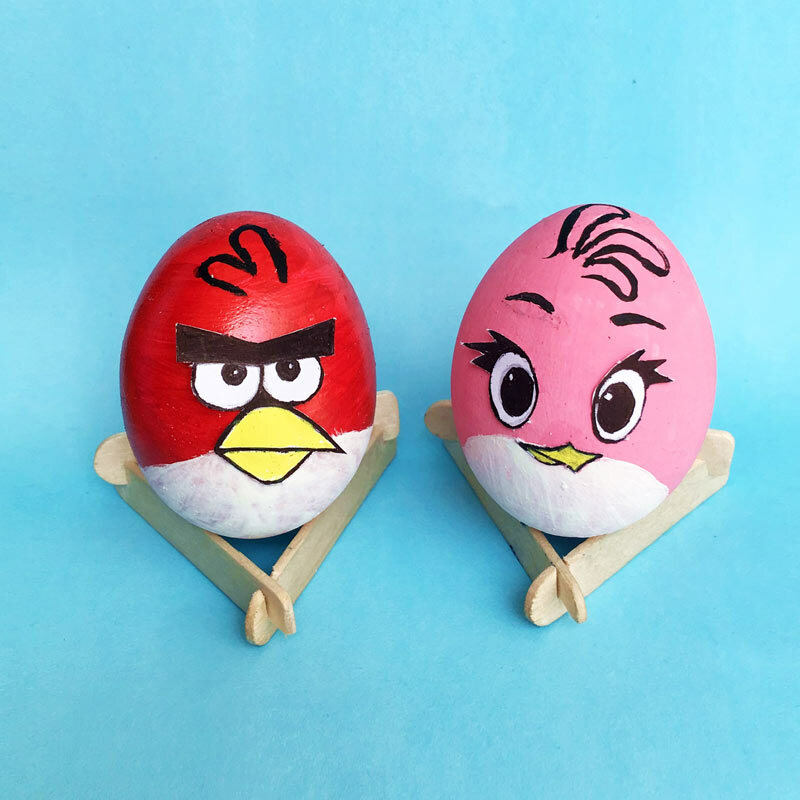 The other animal character design made is that of a chick. 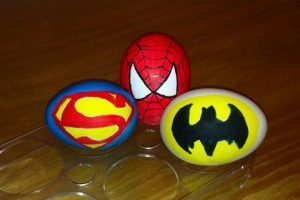 You have to use yellow acrylic paint for it. 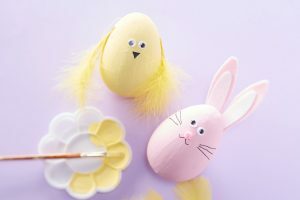 The wings are made with yellow feathers. 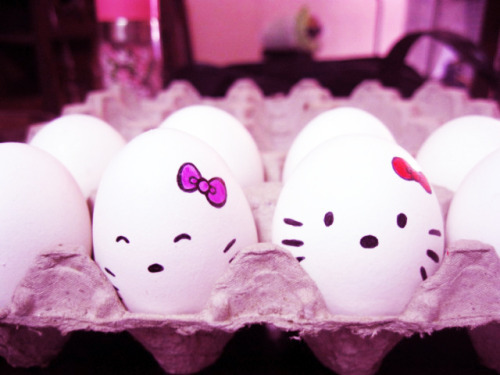 A Hello Kitty pattern looks charming on the white eggs. 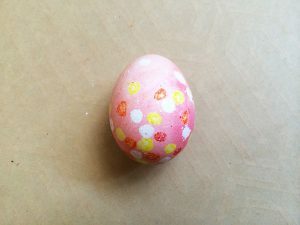 The ribbon drawing at the top of the head can be filled with bright colors. These decorated eggs are made by wrapping colorful Easter fabric around foam eggs. 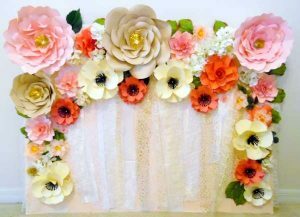 Mod Podge is used for a firm attachment. You can also do this project with polystyrene eggs. 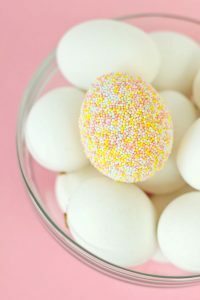 Large as well as mini eggs can be decorated using the technique. The decorative ceramic easter eggs have been given a marble effect with nail polish. You need to make a pattern of nail polish in a container and roll the eggs in the liquid. They have the looks of dinosaur eggs. For a shiny look, you can use a golden color of nail enamel. 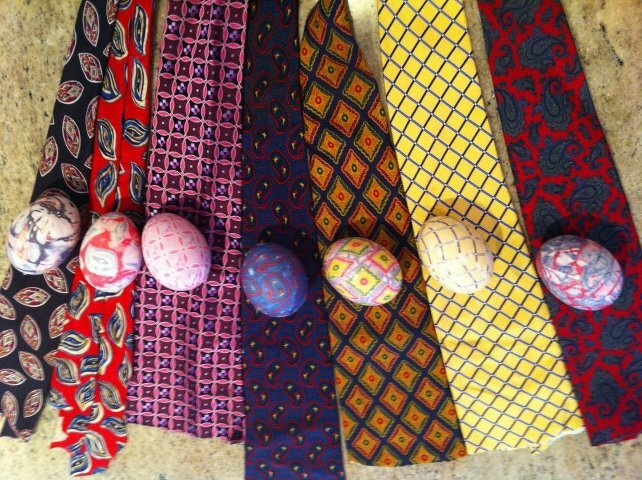 This Easter egg tie dying idea is done with silk ties. 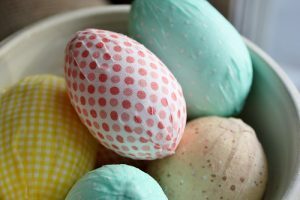 You need to wrap the eggs with the small pieces of silk with their printed sides facing the shell. 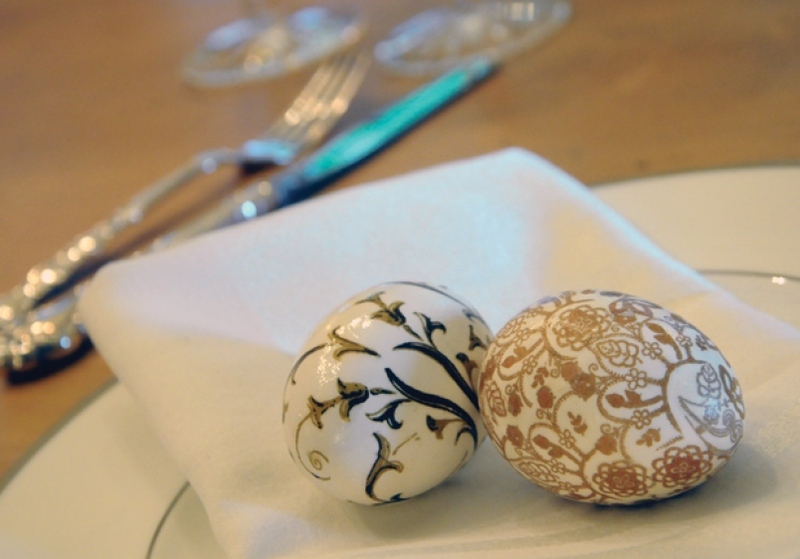 Then immerse them in a water and vinegar solution and boil for the decorative patterns. 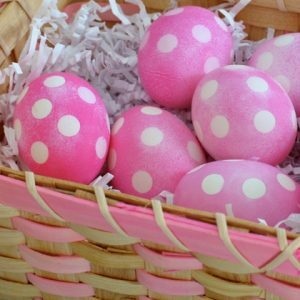 This DIY uses sticker dots and pink dye to transform plain white eggs into beautiful, polka-dotted Minnie Mouse themed ones. The kid-friendly tutorials have tips and tricks for designing real as well as fake eggs. When you are dyeing your eggs, you can keep the colors as natural as possible. 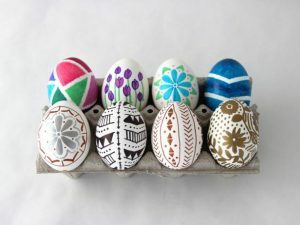 We are sure that the designs would ‘egg’ you on to create exciting designs for the holiday season.